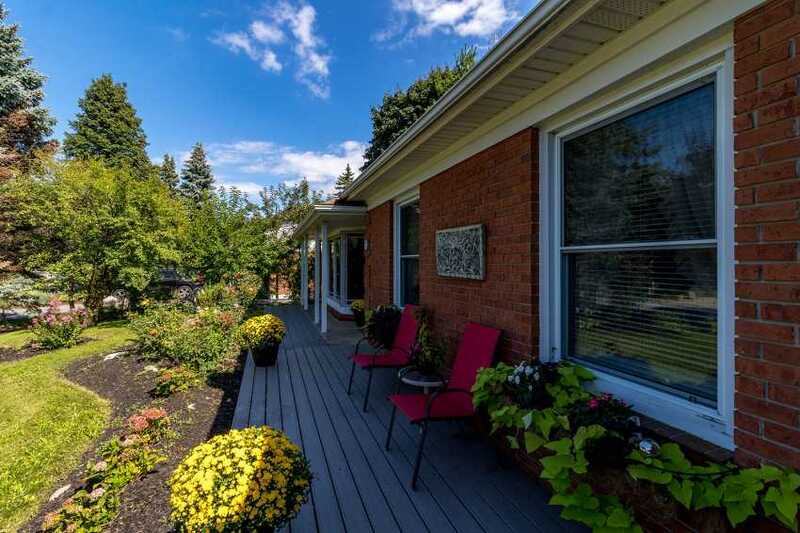 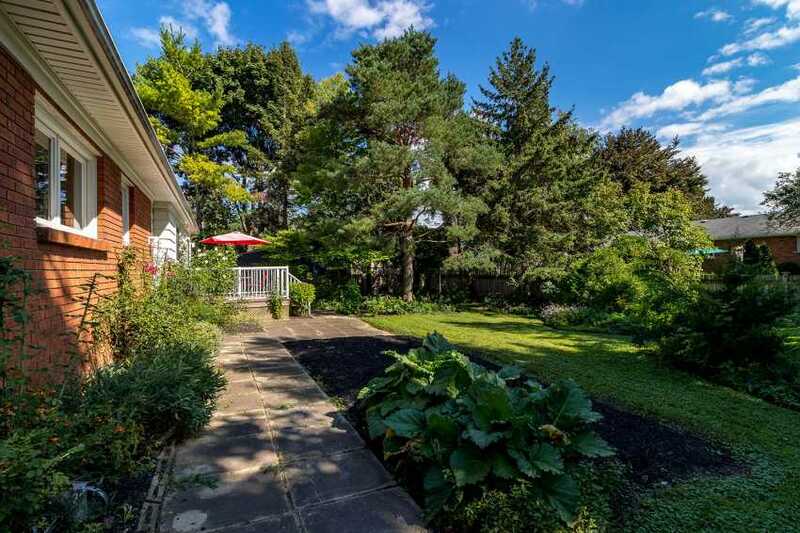 Welcome to 11 Upper Canada Drive of prestigious Niagara on the Lake. 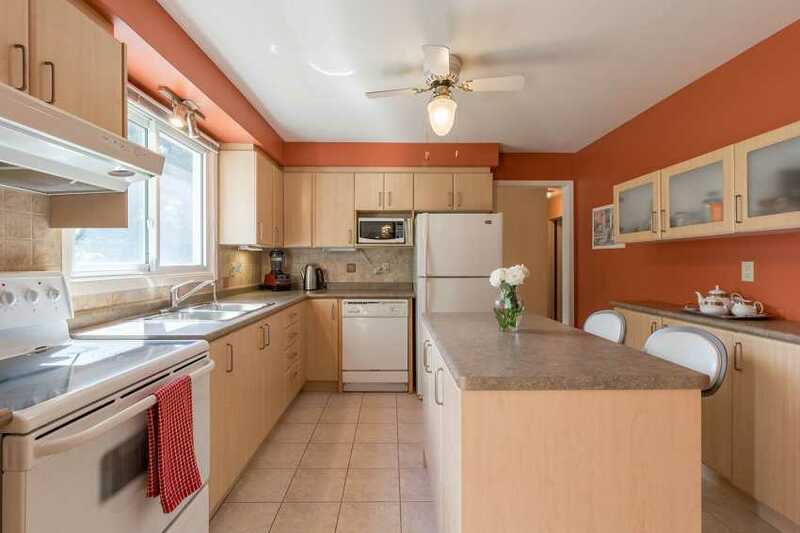 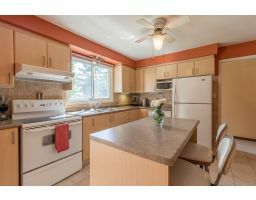 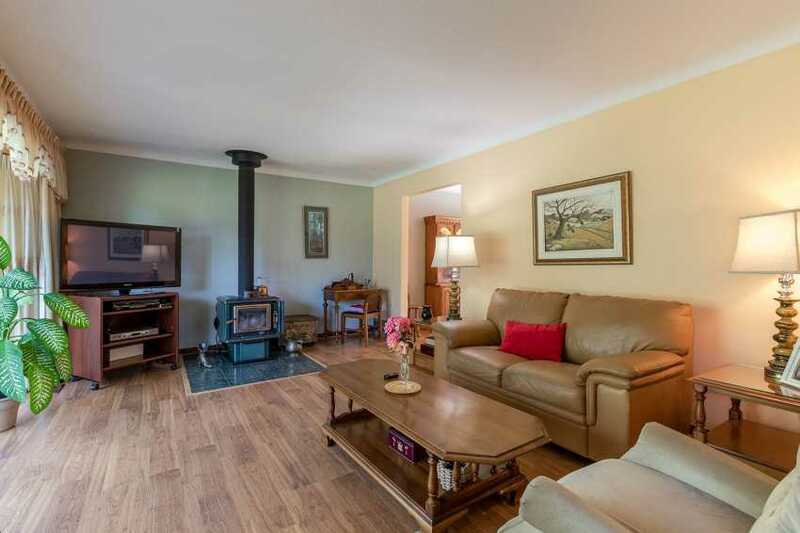 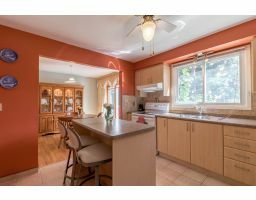 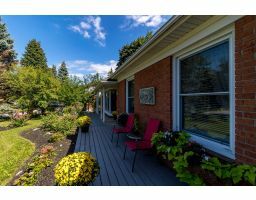 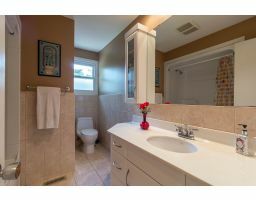 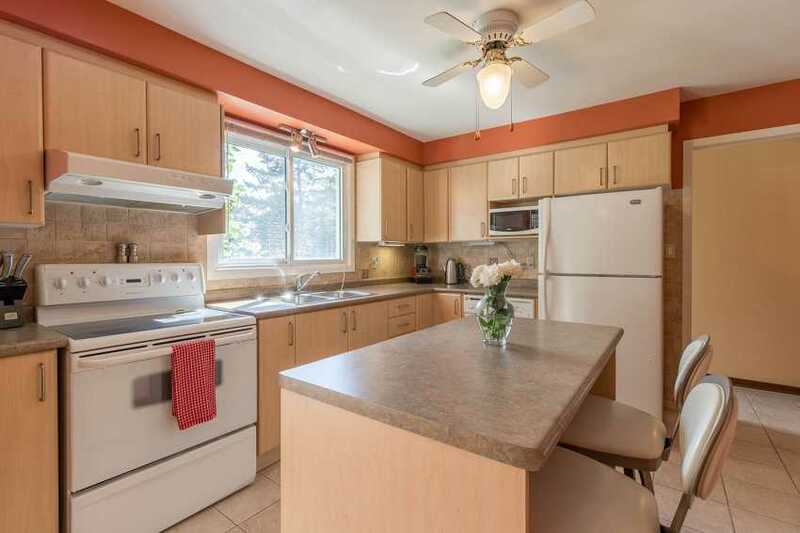 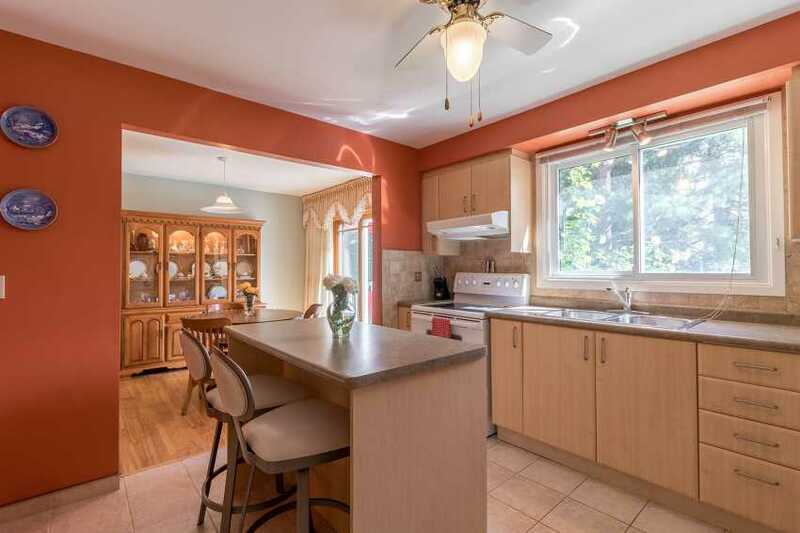 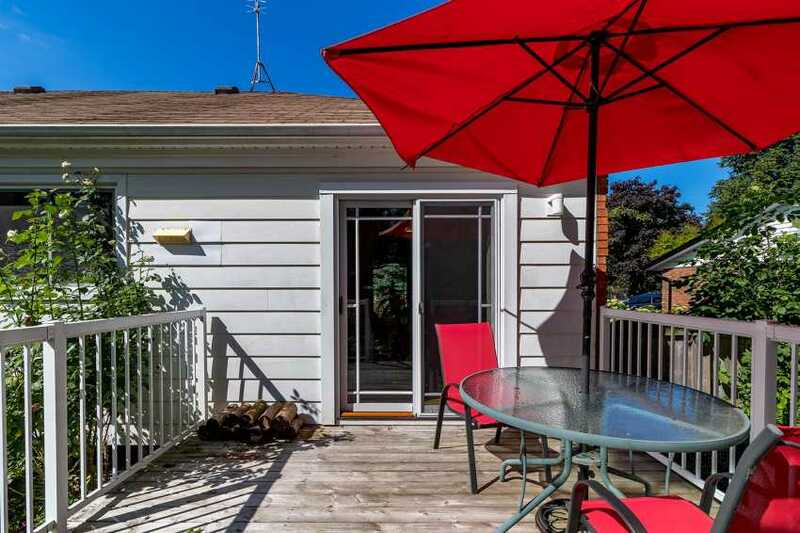 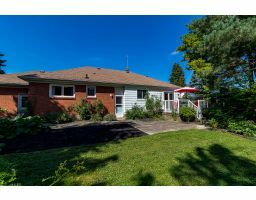 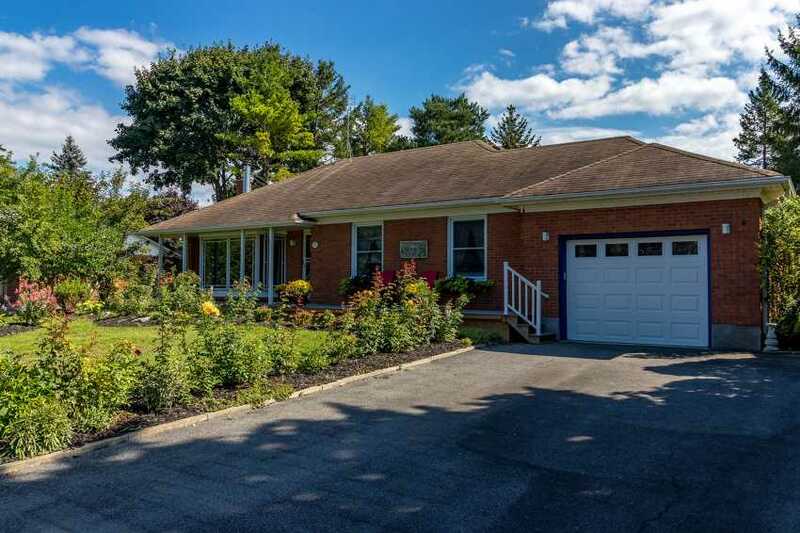 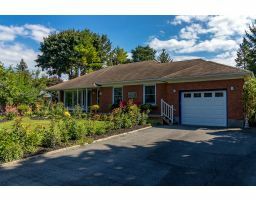 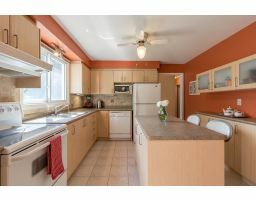 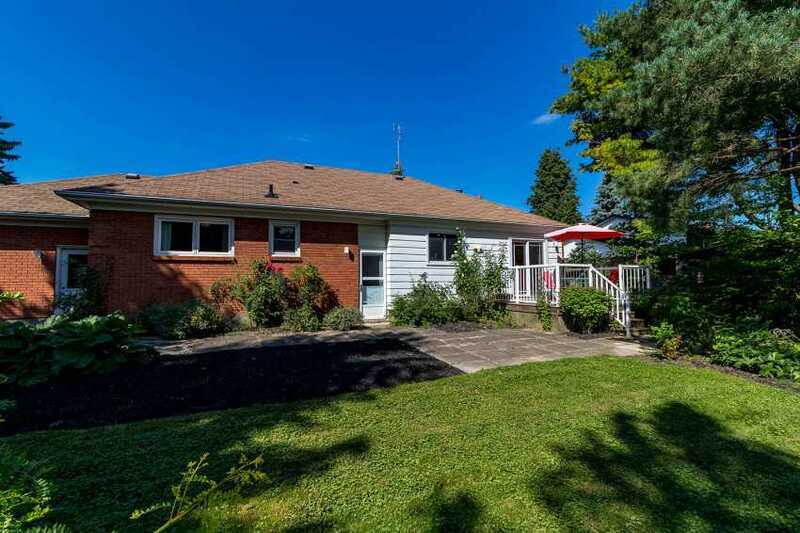 This 1246 square foot bungalow is located in Garrison Village, a neighborhood close to the town core yet located on a quite street with beautiful mature trees surrounding. 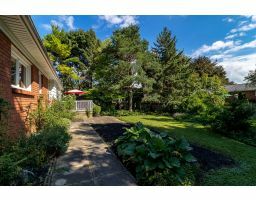 This home boasts a wonderful 80 ft X 120 ft lot that has lush gardens waiting for the avid green thumb. 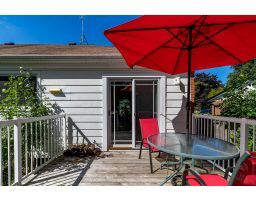 Walking up to the front door there is a newer composite deck that stretches along the entire front exterior and overlooks the rose gardens. 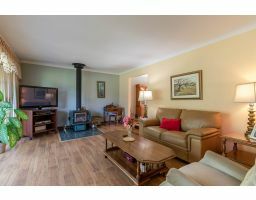 The main floor living room is bright and has a floor to ceiling bay window as well as a wood burning fireplace that heats up most of the main floor in the winter. 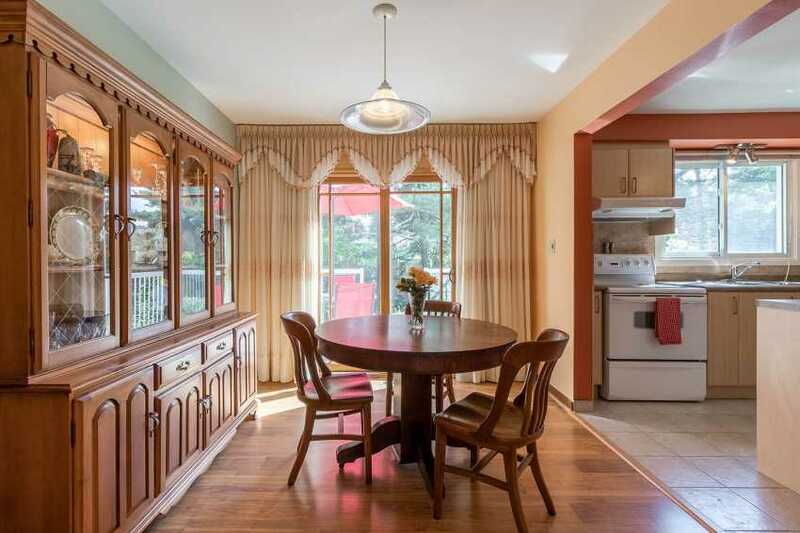 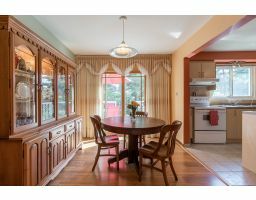 The dining room is a nice size and has patio doors leading to a cozy private deck in the backyard. 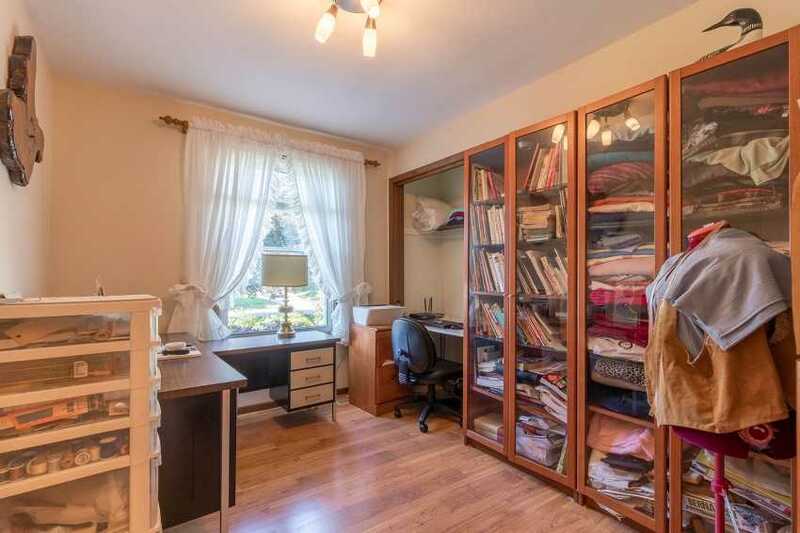 Moving into the kitchen you'll find plenty of cupboard space, a kitchen island and a build in hutch. 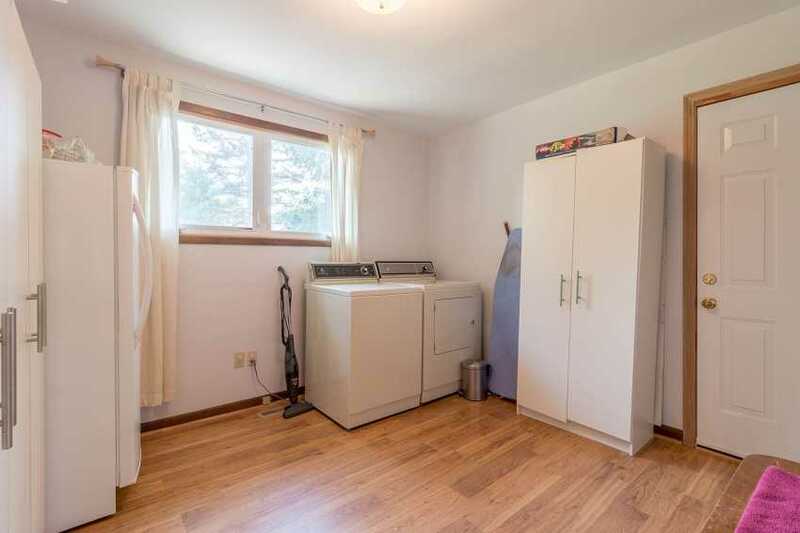 Down the hall there is a 4 piece bathroom, 2 bedrooms and a main floor laundry room that used to be the 3rd bedroom. 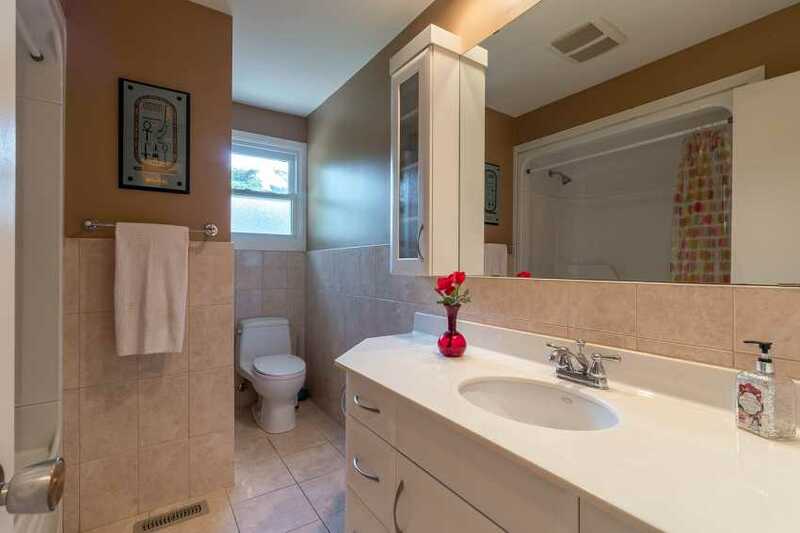 The basement is unfinished with a rough in for a bathroom. 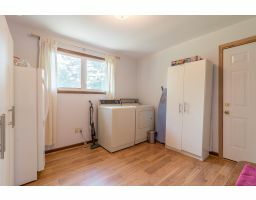 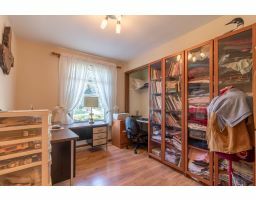 There is enough space for a huge rec-room as well as another bedroom and storage room. 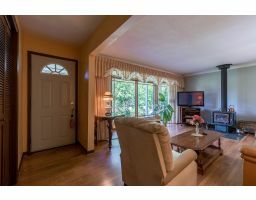 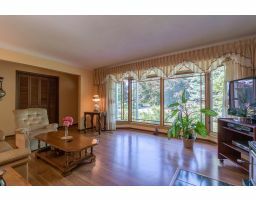 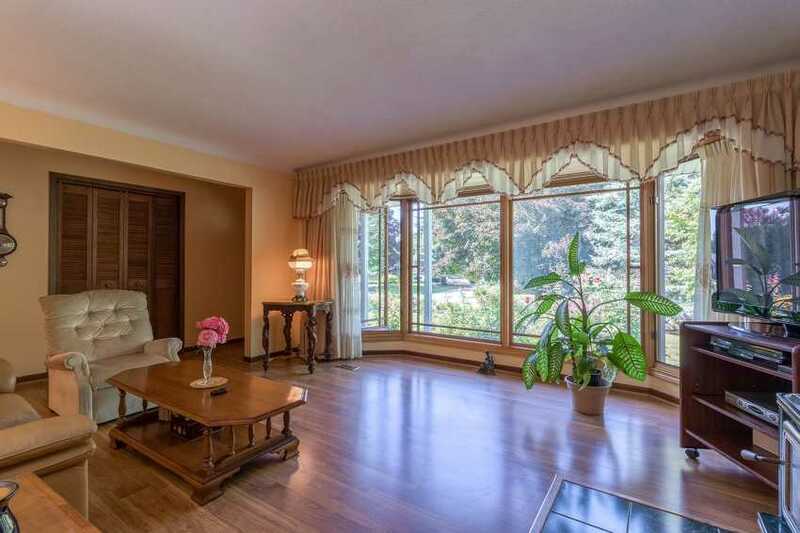 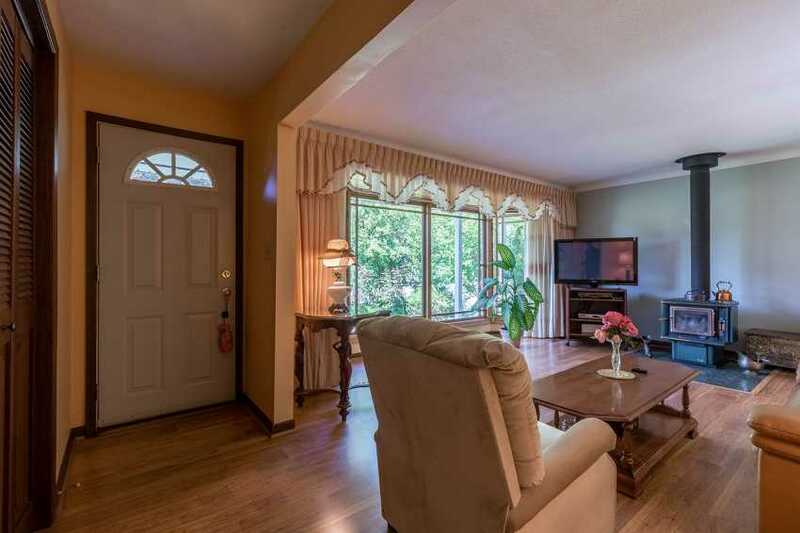 This home is located in a wonderful neighborhood and would be perfect for a retiree!